Rising in the Bog of Allen, County Kildare, Ireland's Boyne River flows 70 miles northeast to enter the Irish Sea just below Drogheda in County Louth. 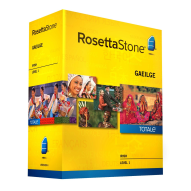 The Gaelic word for Boyne is Bhóinn. The Neolithic passage graves at Knowth, Newgrange, and Dowth, and the Hill of Tara, are of archaeological importance as they are all located in the Boyne valley. 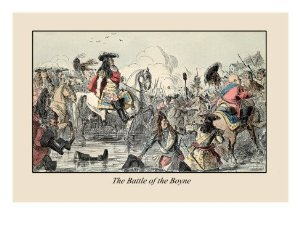 In Irish history no date is better known than 1690, and no battle is more famous than The Battle of the Boyne. During this fierce battle, William III won victory over James II at the River Boyne. A few miles west of Drogheda, James, a Roman Catholic, had lost the throne of England in the bloodless revolution of 1688. William was Prince of Orange, a Dutch-speaking Protestant married to James' daughter Mary, and became king at the request of parliament. James found refuge with his old ally, Louis XIV of France, who saw an opportunity to strike at William through Ireland. He provided French officers and arms for James. The Earl of Tyrconnell, was a Catholic loyal to James, and his Irish army controlled most of Ireland. James summoned a parliament, largely Catholic, to repeal the legislation which gave Protestant settlers land. While under the rule of Tyrconnell, Protestants had seen their influence diminished in the army, the courts and civil government. In 1688, James had the gates to the city of Londonderry closed. In 1689, the city refused to surrender to James' army, and managed to survive a three month siege before relief came by sea. The Protestants of Enniskillen defended their city equally as well, and won a number of victories over Catholic troops. Eventually, James withdrew from the northern province of Ulster. William was furious about the threat from Ireland. In 1689, Marshal Schomberg landed at Bangor with 20,000 troops and, with Ulster secure, pushed south as far as Dundalk. James' army blocked further access towards Dublin, but there was no battle and the two armies withdrew for the winter. In the spring of 1690, the Jacobite army was strengthened by 7,000 French troops, but Louis demanded 5,000 Irish troops in return. The troops of William were reinforced by Danish, English and Dutch regiments. When William himself landed at Carrick fergus in June, he was able to muster an army of 36,000 men and began a march towards Dublin. They encountered some resistance near Newry, but the Jacobite army withdrew to the south bank of the River Boyne. The Battle of the Boyne was fought on July 1, 1690 at a shallow river bend four miles west of Drogheda. The main body of William's infantry was concentrated on crossing the river at the village of Oldbridge, but a detachment of cavalry and infantry made an attack upstream. William's army was stronger by about 10,000 men, but soon he had triple superiority. By midday, the Jacobite army was in retreat, and James himself rode to Dublin to warn the city about William's approach. On July 6th William entered Dublin, where he gave thanks for victory at Christ Church Cathedral. 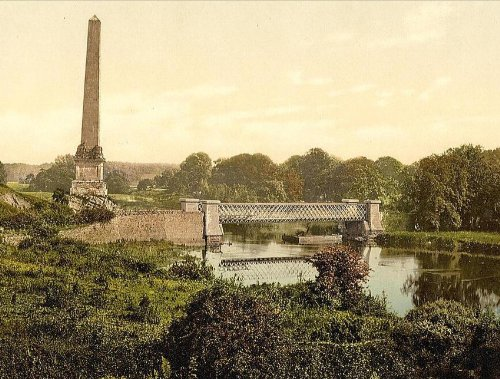 The Battle of the Boyne is observed each July in the celebrations of the Orange Order. This battle was not the end of William's campaign. The King had returned to England before the formal Irish surrender after the siege of Limerick in 1691. The defeated Catholics were soon to suffer from penal laws that were designed to further prove the Protestant victory over the Irish Catholics. 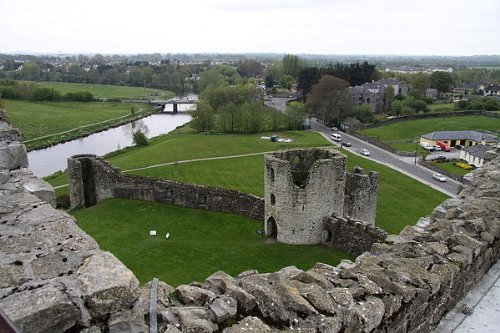 When we travel to County Meath, we always stop at Trim Castle on the banks of the River Boyne. It's official name is King John's Castle and it was used as a backdrop in the filming of the Mel Gibson movie Braveheart.